Government forecasts of budget deficits invoke considerable skepticism. A prominent critic is Jeff Frankel who mocks the ‘‘budgetary wishful thinking’’ of many government agencies. Frankel notes that during the 2000s, the U.S. Office of Management and Budget ‘‘turned out optimistic forecasts’’ for eight years in a row; likewise, in 2000, the Greek government projected that its budget deficits would shrink below 2 percent of GDP within a year, a far cry from the outcome of 4–5 percent of GDP. Such examples have tended to be the rule rather than the exception. 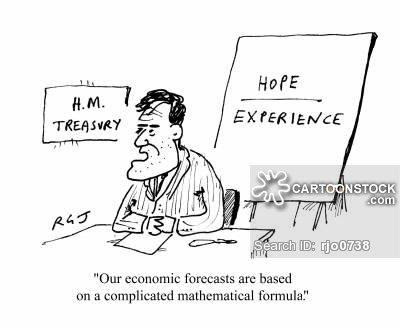 Private sector forecasters are presumably less subject to the political pressures that governments face. How well do they do? My new paper with Joao Jalles and Iskandar Karibzhanov presents evidence on the quality of private sector fiscal forecasts.